2018-19 Pairs Preview – Europe… and the Leftovers! So, I’ve looked at the Russian and Chinese pairs we will see on the Grand Prix this season (and a few others), as well as the North American pairs. Now, let’s look at everybody else. Mostly this means European pairs, but there are also the Australians and North Koreans. Can’t forget them! Oh, and Japan too! I am excited to start this new quad and see who really seizes the moment. I am also going to include a few other promising teams who haven’t yet received Grand Prix assignments but may be ones to keep an eye on. I’m keeping my fingers crossed for Spain and the Internationaux! There they all are, all those lovely Grand Prix assignments. (Finland is going to be so fun! It’s such a mix!) So, who are we going to see? Let’s start with Skate America. Hocke and Blommaert had a terrific first season last year. It was really a first everything for them – first season together, first season competing, first season skating pairs (for Annika) … and they really just seemed to get stronger and more confident with each step. They made the free skate at both the Olympics and Worlds! It would be normal, I think, to expect even more from them now in their second season but that sophomore season can be a tricky one. There are higher expectations from everyone – judges, audiences, and themselves. Some things that cut it the first season, don’t anymore. And I expect they are eager to improve their elements and perhaps learn some new stills but I hope they don’t push themselves too much. Push themselves, yes, but not beyond their capabilities. I do really enjoy watching this team. Annika is very expressive and a natural performer. I hope they get some good programs that will really highlight them and that I will like to watch. Hase and Seegert are still a pretty young team, even though they have been competing at the Senior level for four years. They aren’t very well known but they have been gradually coming together and shaping into a competitive team. They’ve been patient. They maybe had hopes of qualifying for the Olympics last year but they were dashed by Hocke/Blommaert coming onto the scene and Hase/Seegert remained Germany’s third team. However, this season they are competing on the Grand Prix for the first time and it feels like now is their time to blossom. They certainly have a very good chance of going to Worlds, so I’m hoping for a strong season for them. They have a good twist and good throws. I really like a lot of what they do. If they have an area of weakness, I would say it is their lifts. They could use some work. And who knows? If they come out strong, they could maybe challenge Hocke and Blommaert (who, after last season, seem poised to be the number one team). Skate America, where these team go head-to-head, will certainly be interesting. There’s more at stake for them than just a regular Grand Prix. Healthy rivalry! Since they are a fairly unknown team, here is some more video. I was really hoping to finish this blog post before the first (real) competitions of the season began this weekend and I failed. So, now some of these teams have started their season and this team is one of them. But, I am mostly going to ignore what happened at the US International Classic – clearly the altitude was a major issue. I am very intrigued by this team though. They’ve won Junior Worlds, they’ve been to the Olympics and Worlds and they have yet to make their Senior Grand Prix debut! But that will happen at Skate Canada. I think they’ve made a smart choice in moving their training base to Montreal with Gauthier. I think they will fit there really well. They have pretty strong elements but they still need a lot of polish. Neither of them seem to have a lot of musicality – that’s an area that I would really like to see them work on. They do have a young, fresh energy but they are going to lose whatever that does in their favour if they come across as mechanical. I think a big goal for this team too will be to stay ahead of or at least on par with other young pair teams up from Juniors. 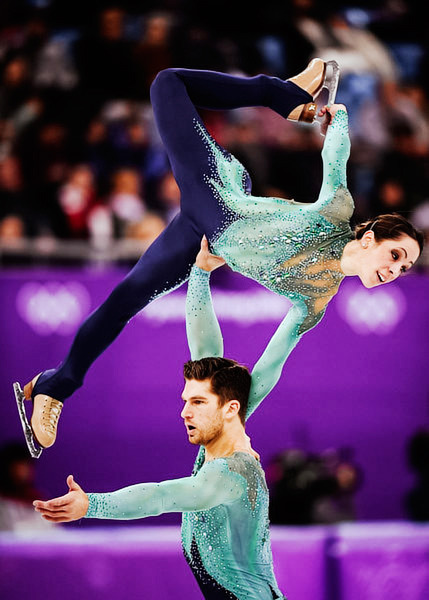 James and Cipres seem poised to be a powerhouse team this season after their breakthrough last season, landing third on the podium at Worlds. They will want to consolidate that position by following it up with strong performances. They’ve been chasing the podium a while now, so part of me wonders: how much motivation will they have? How far do they want to go? Still though, based on reports, they seem be stronger and more confident than ever, so I probably don’t need to worry about them. Nonetheless, I would still like to see more polish from them. I think they can continue to improve. Last season was great for Ziegler and Kiefer too. Here is another team that has been patient but I feel like they had a breakthrough too. They qualified for the free program at Worlds and overall they are skating with more flow, confidence and polish than ever. Things really seem to be clicking into place. And as well, I think they can continue to improve. I am hoping for some fun programs. To me, these guys seem like happy skaters, which in my mind means they skate best when they have music and programs that make them feel happy and energized and than it pushes out to the audience. Fingers crossed! That’s when I like to watch them most. These guys are just so darn cute I can hardly stand it, but I can. I defy anyone to name a cuter pairs team… in Senior (but really probably anywhere). There is really something to be said for a team that it is enjoyable to watch and who seems aware of the importance of being enjoyable to watch. Anyway, like several other teams, Ryom and Kim are celebrating their Grand Prix debut this season. I am excited to see what will happen to their marks and reputation as they get more international exposure and experience. My major question is: do they get new programs? I really hope so. Ryom doesn’t have to give up her unitards if she doesn’t want to but I would like to see new programs. Ah, looking at this picture reminds me how of happy I was when Matteo got rid of his man bun and all the other good decisions and strides they have made. It also reminds me how handsome he is and lovely to look at. But moving on… Della Monica and Guarise are another team that has made huge strides in the past couple seasons. At Worlds, they made a jump from 13th to 5th. They have never placed in the top ten before! (And really, I thought they could have been fourth or possibly even third in the free skate. Just my personal opinion.) One thing I think I can say with confidence is that rivalry has been really good for Italian pairs. Della Monica and Guarise were really pushed to improve by competition with Marchei and Hotarek. Now with Ondrej’s retirement, they won’t have that same competition within Italy but I think (after seeing them at Lombardia) that they have a new confidence and calm on the ice. They seem relaxed and like they really enjoy what they do. To be honest, I prefer these guys to James/Cipres. With more power and above all consistency, I think they could take them. Consisteny – that’s what they really need to strive for. Suzaki and Kihara are making their Grand Prix debut too! 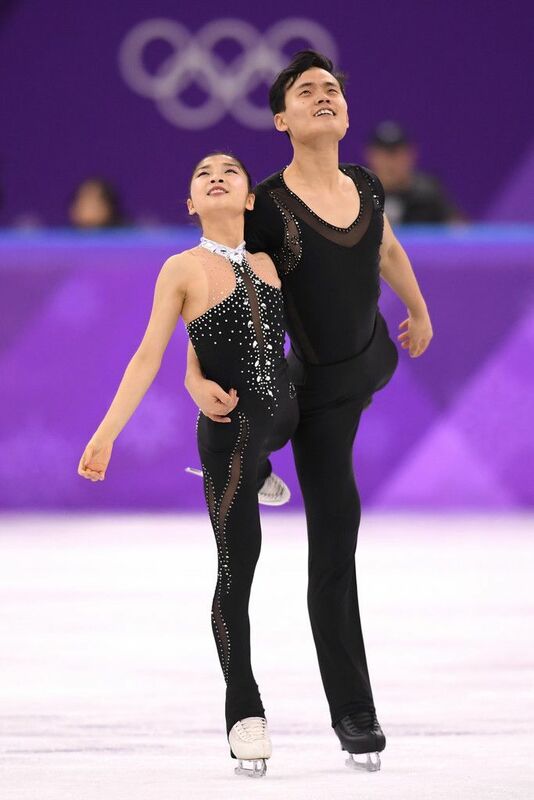 Last season, they were maybe thrown into the deep end in a way, representing Japan at the Olympics and Worlds, but I think it was good for them. They skated what they coulc do and got valuable exposure and experience. They do compete a side-by-side triple lutz but I want to see them up the ante. I want them to sync up those lutz entries and improve their other pair elements. What I really hope is that they are in for the long haul and continuing past the Olympics is a good sign! It can only help build the pair discipline in Japan. Imagine Japan with a strong pairs program. They could slay. I think this is a team with loads of potential. In their first season together, they showed some good pair elements and some quite lovely positions. She is quite young and little but I’ve decided I’m not worried about her growing. (1) She looks very strong; she’s all muscle. She reminds me of a ballet dancer. And (2), there is a substantial height difference, so if she wants to grow, she can. Basically, I think she’s fabulous and he should do whatever he needs to in order to hold onto her. I was excited to see them at Lombardia. I think they have pretty good programs. I really want to see more of them. Give them a Grand Prix spot already! Chtchetinina (of the many consonants) and Akulov teamed up in the summer of 2017. So the European Championships in 2018 (in the video above) were really their first big competition. Look at how happy they are! I really wanted to find a video of their short program at Worlds because even in those few intervening months they made quite a bit of progress. I think this is a promising partnership and I hope to see them out there competing at the Senior Bs. No Grand Prix for these guys yet, but I think if they compete well and earn those world ranking points, we could them in the future. I am always really happy when a girl I like finds a partner who seems worthy of her talents and who seems realize it. Another interesting point: they are coached by Larionov. I wish them the best of luck!